From Our Readers: TV? What TV? Our piece about a Supreme Court's decision to dismiss fines against ABC and Fox, led to comments from households that have greatly reduced their television intake. Of course, most acknowledged the obvious — they're still on the internet (hardly a space known for its sterling regulation of decency), and did we detect a little of one-up-manship? The credit rating agency Moody's Investor Services just downgraded the ratings of 15 of the world's largest banks. Bank of America, JPMorgan Chase, Citigroup and Goldman Sachs were among them. "The ratings agency said late Thursday that the banks were downgraded because their long-term prospects for profitability and growth are shrinking. The political fundraising numbers filed this week are revealing a new crop of million-dollar donors. Cash flowed into the superPACs supporting President Obama and Republican rival Mitt Romney last month. Priorities USA Action, the pro-Obama superPAC, got $4 million, while the pro-Romney equivalent, Restore Our Future, pulled in $5 million. So who are the big spenders? A lawyer for Jerry Sandusky's adopted son says Matthew Sandusky was also a victim of the former Penn State assistant football coach. In a statement released by Andrew Shubin, Matthew Sandusky said he was prepared to testify against his father. The Patriot-News first broke the story and Shubin confirmed his statement to NPR. The first minarets in Murfreesboro, Tenn., are about to be placed atop a new mosque. 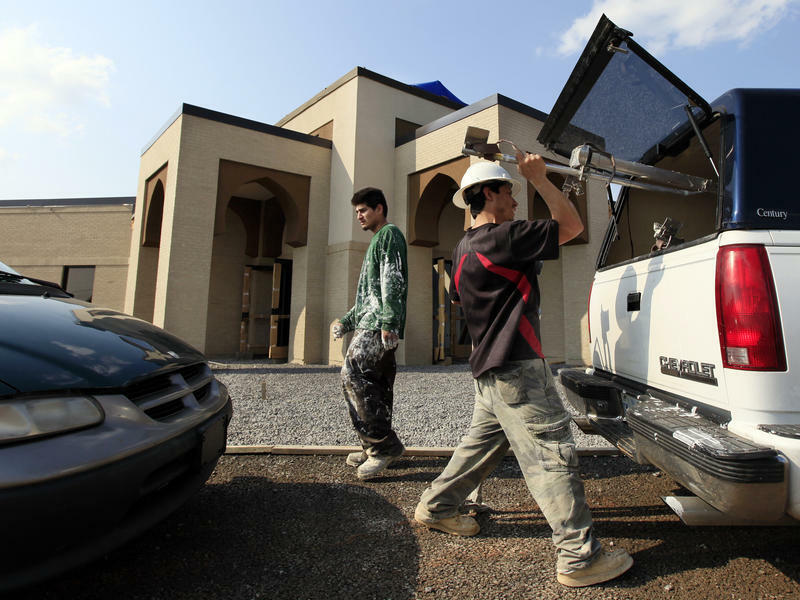 But when construction is complete on the new Islamic Center of Murfreesboro, located about 30 miles southeast of Nashville, no one will get to move in. 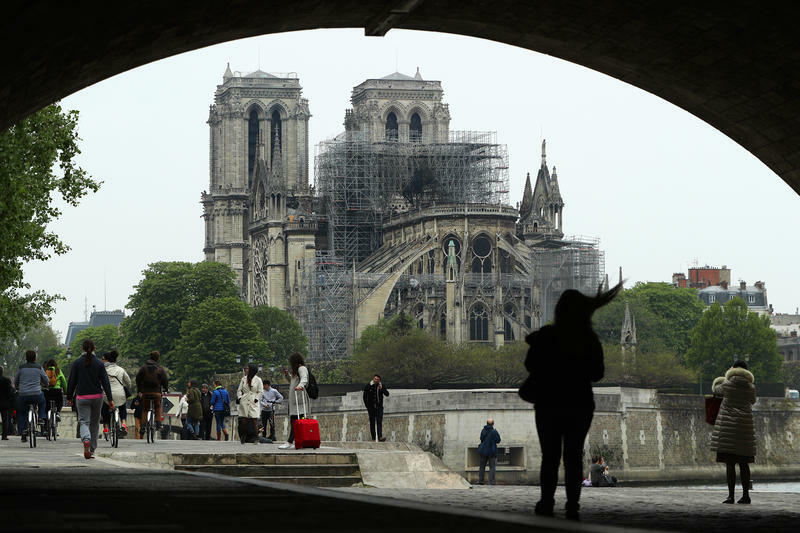 An ongoing court battle has stalled the project, one of several Islamic centers around the country that, like the so-called ground zero mosque, have encountered resistance from local communities. 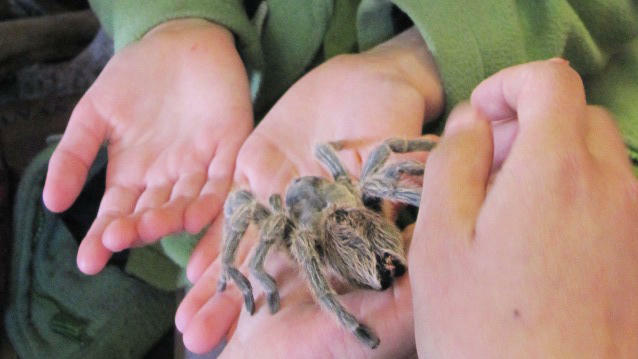 Many kids who grow up in big cities have lots of opportunities to experience science hands-on. There are zoos, museums, planetariums and school field trips. But those amenities are sometimes out of reach for lower-income children. And in some rural areas, those opportunities simply don't exist at all. In California — as in many states — public school science programs have faced deep budget cuts. Many kids have been left behind. Dan Sudran has taken it upon himself to help close the gap. 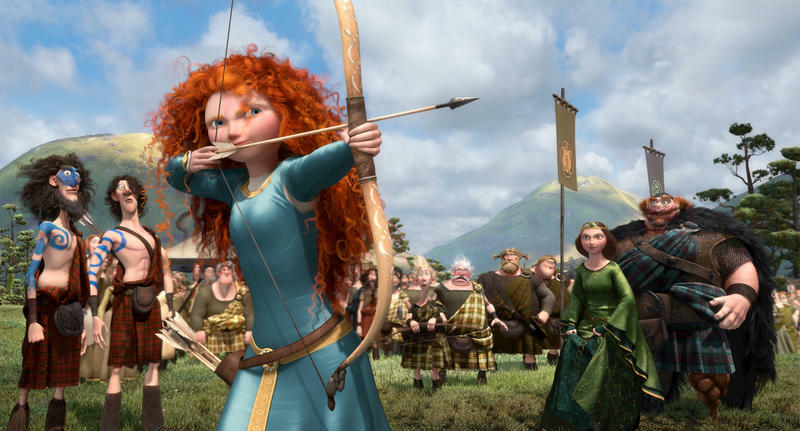 For little girls, princesses hold roughly the same value that tulips did for the Dutch back in the 1500s, and that princess mania is sure to get a boost with the new Pixar movie Brave, which stars a Scottish princess named Merida. 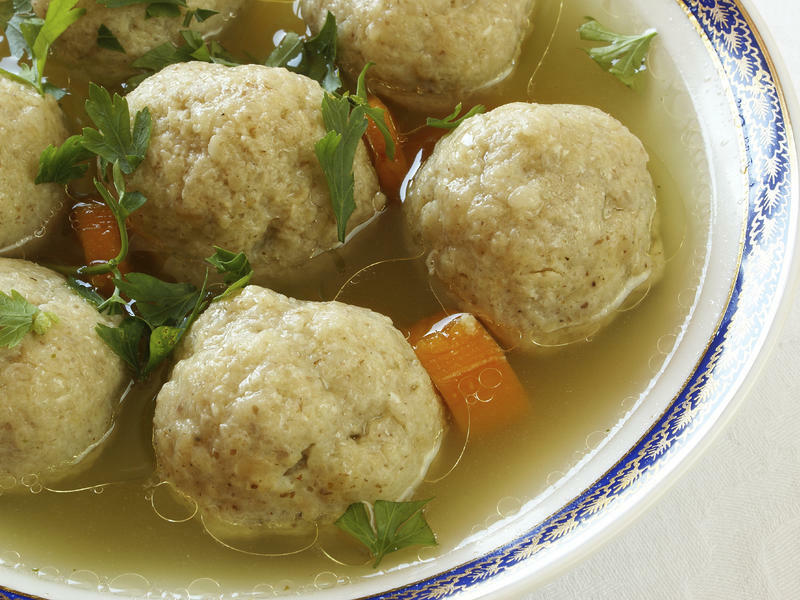 For a keyhole glimpse into the pink and glittery world of pre-K princess culture, consider the scene at a recent princess-themed birthday party in a suburb of Washington, D.C.
Grandma's can of matzo ball soup and jar of gefilte fish have never seen such love. Yemen's offensive against al-Qaida has focused on territory in the south of the country that the militants have held for nearly a year. 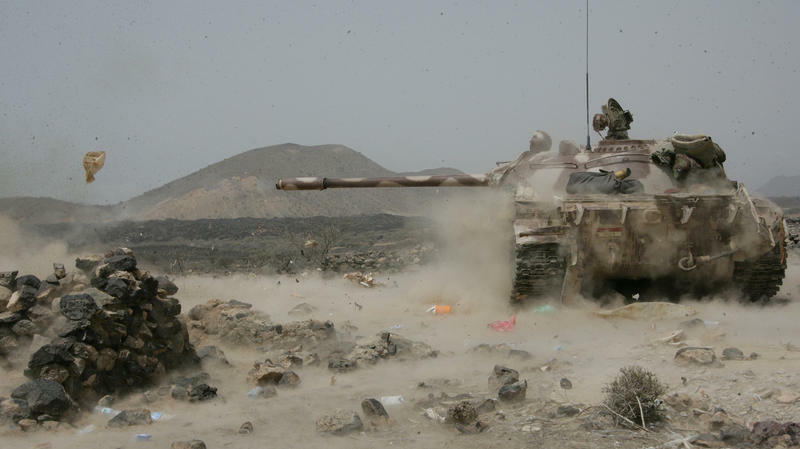 With the backing of the U.S., Yemen's army has cleared al-Qaida and its allies. But many local residents believe the fight is far from over. Kelly McEvers spent several days in southern Yemen and filed this report. We're in a Yemeni army land cruiser with a shattered windshield. Our destination is the town of Shaqra, the last town in the al-Qaida badlands before the sandy ground turns into mountains. Worries about a slowing world economy took its toll on the markets today: At close, the Dow was down 250.82 points or 2 percent. Standard & Poors was down 2.2 percent and Nasdaq was down 2.4 percent. That was the worst drop in three weeks and the second worst drop of the year.